I have copied the file directory in and I may be being stupid but I still dont see the Company logo ? Directory? You’re supposed to choose a single file, PNG or JPEG. 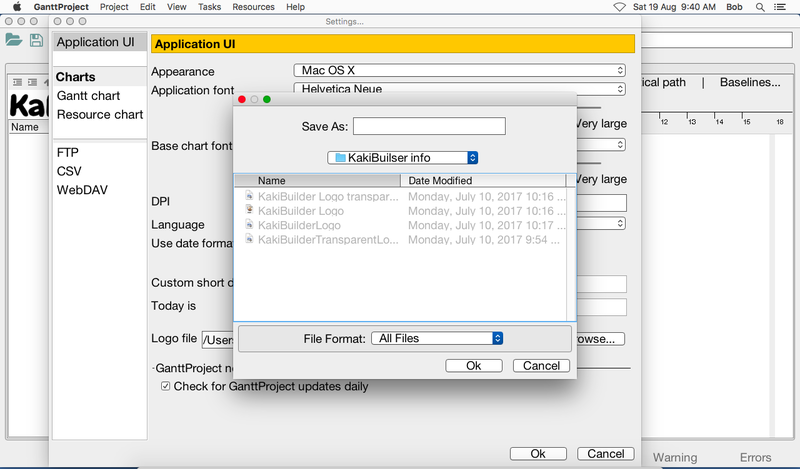 Restart GanttProject after changing this setting. Sorry that’s what I did just a single file? 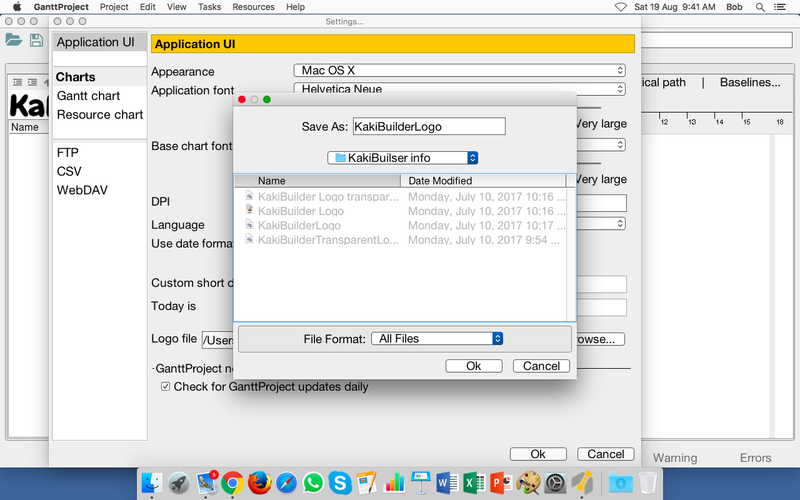 I have copied the file name into the box next to Logo file on the application UI screen as follows but still I dont get the company displayed? I will just leave as is, as i dont wont to waste any more of your time. Thanks for clarification. 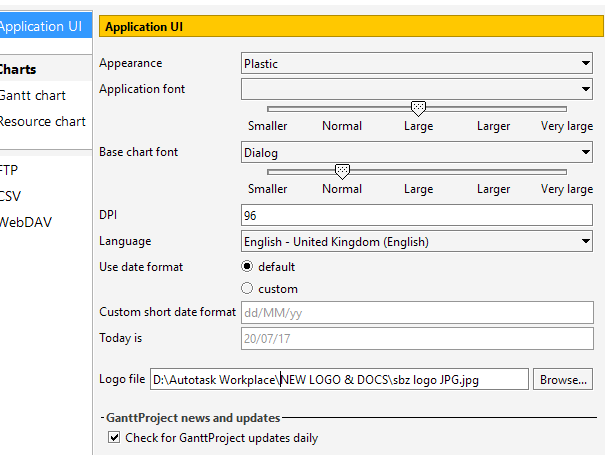 And that file exists, with the name exactly as written on the screenshot (what command dir /B "D:\Autotask Workplace\NEW LOGO & DOCS\sbz logo JPG.jpg" will print in the command prompt? 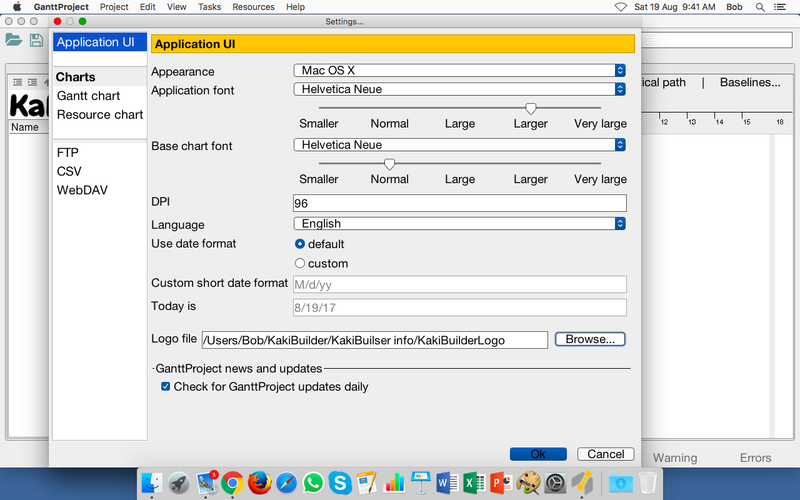 ), and you did restart GanttProject after changing the logo? 10.11.6 (15G1611)I have the same problem. Running Mac OSX 10.11.6 (15G1611). Have gone through the steps of selecting my logo file, saved the project, exited and restarted ganttproject. Still does not change the logo appearing. How to change the logo or delete the logo? Here are the contents of the log file. Here are screen shots of ‘change logo’ process i followed. As a side note, i’ve done a little snooping and found the ‘current’ logo file named “big.png”. I created my logo to match the size as big.png, renamed big.png to bigoriginal.png, then copied my logo file and named it big.png. Now have my logo but it is constant for all projects. 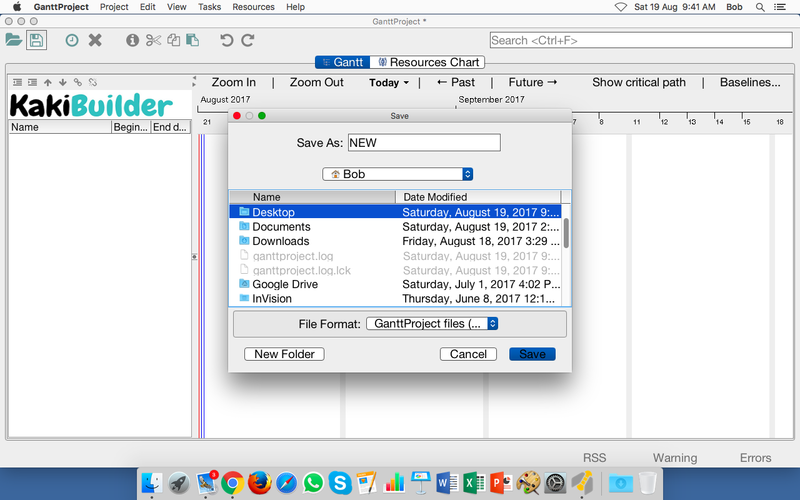 The log says that logo file does not exist or is not readable. Whatis the output of this command in Terminal? 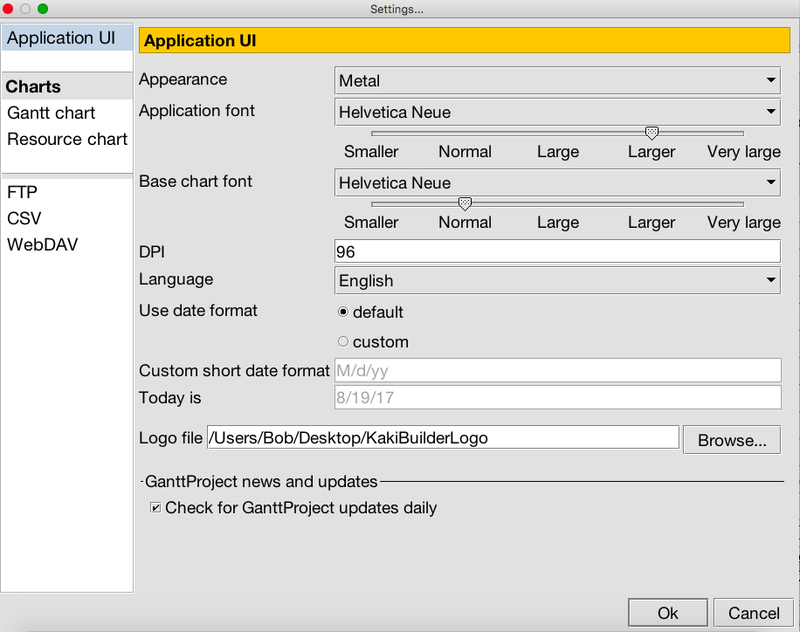 Also, can you try using logo in a file with no spaces in the path? but it is constant for all projects. Logo option sets the logo on application level either, sorry.